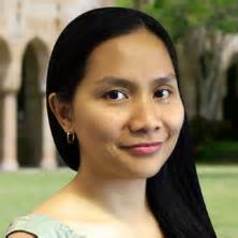 As a scholar in sustainable transportation science, she has advanced a significant body of knowledge in active transport, particularly bicycle sharing and pedestrianization, gender and transport, indigenous transport, transport history, with theory and policy implication within the Australian, but more extensively, in the Asian setting. Her research is fundamentally concerned with improving the understanding of how the interaction of land use and transport creates unique transport mobility and accessibility challenges and investigates the extent to which the built environment influences transport participation and use. Contextualised within the Asia-Pacific region, she argues that encouraging behavioural shift to more active forms of transport (e.g. walking and cycling) is vital to achieving more sustainable and inclusive cities. She leads the Women in Transport Leadership in Australasia, a knowledge network solely dedicated to empowering women and developing a critical mass of female transport leaders in the Australasian region. She teaches and coordinates several urban planning subjects both at the undergraduate and postgraduate levels. These include: Master of Urban Planning capstone studio, Healthy Communities, Cities without Slum, and Urban Design and Planning Studies (commencing 2018). She has held several visiting positions overseas. Most recently, she was visiting professor at the De La Salle University, in the Philippines. Prior to her current position at MSD, she has taught at the University of Queensland's planning program and was affiliated with Queensland Transport and Main Roads. She is also active in consulting in several ASEAN cities.